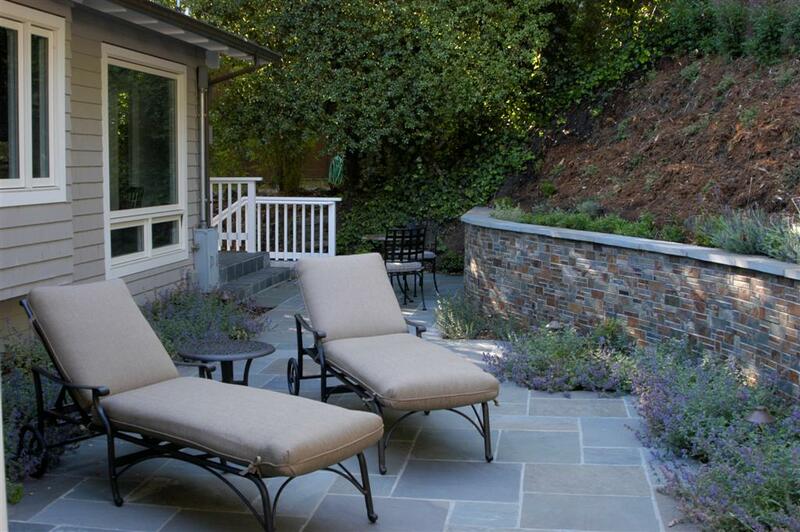 This project in Belvedere was completed earlier this year and has already started to grow in nicely. 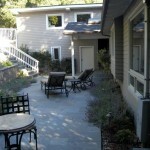 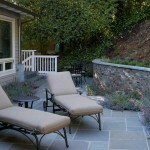 The clients wanted a space that created a stronger front entry, seating area, and a solution that pushed back the exsting hillside to create more space. 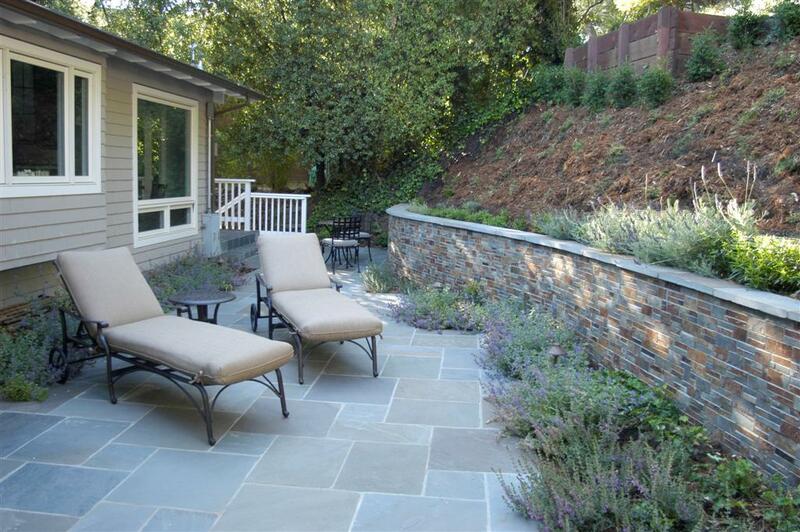 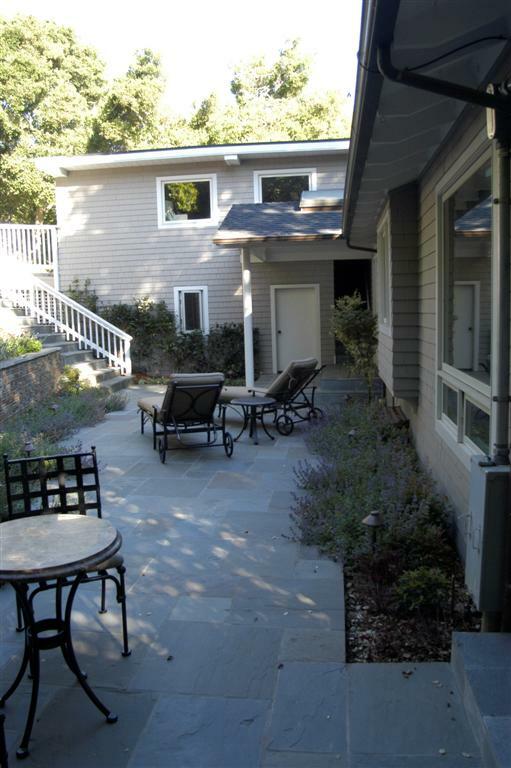 The Bluestone Patio is complimented by a Rox Pro stone veneer that picks up the geometry and color of the bluestone.